The Japan Times and New York Times have both reported within the last couple weeks on the ongoing movement for Okinawan independence. The movement is still very small, with only a few hundred truly active members, according to the NY Times; meanwhile, surveys continue to show only a small minority of Okinawans expressing their support for independence. Apparently, there have been some more official, or more visible, meetings & establishment of societies recently – including the Association of Comprehensive Studies for Independence of the Lew Chewans (ACSILS), founded by a group of five academics this past May, and gaining over 150 members in the short time since then – but, from what little I know of the situation, I get the impression that the independence movement has always had its small groups of supporters, and I think it’s probably too early to say right now that it’s actually any stronger than it has been in the past. But, then, who knows what the future may bring? 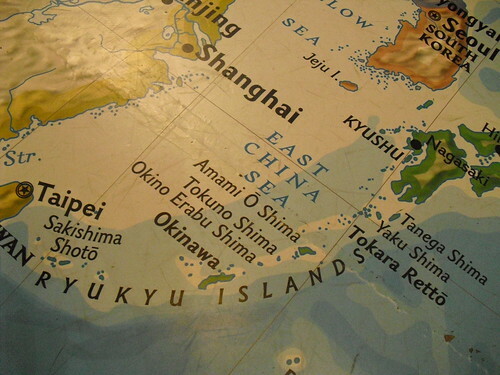 EDIT (7/25): An article posted on The Diplomat, entitled “Okinawa: the Scotland of Asia?,” is just one more of the many articles on this subject to emerge in the last several weeks, citing and linking to an article from the Asahi Shimbun as well.